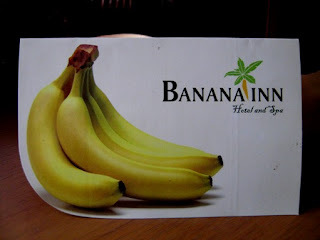 During our last trip, we spent one night at Banana Inn Hotel (Bandung, West Java, Indonesia). The hotel located at strategic place, especially if you plan to shop at factory outlets nearby. Though its name is Banana, I don’t see yellow stuff in this hotel’s interior. We complained nothing as we’re satisfied enough with the whole service. An interesting name. 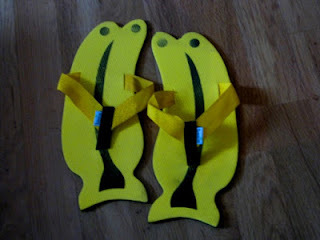 I like those cute banana slippers. A late visit from Mellow Yellow Monday. I hope that you can still drop by and comment on my Yellow Roses post. Banana Inn sounds interesting.I hope you had a nice time over there.I love that slipper it’s so cute.